Please go to http://ncci1914.com or click on "Website" in the menu above. Thank you. Us [United Society, the new name of United Society for the Propagation of the Gospel (USPG) founded in 1701] is an Anglican mission agency working in the partnership with churches around the world. Us work alongside local communities to improve health, put children in school, tackle discrimination, nurture leaders, give a voice to women, and much more. 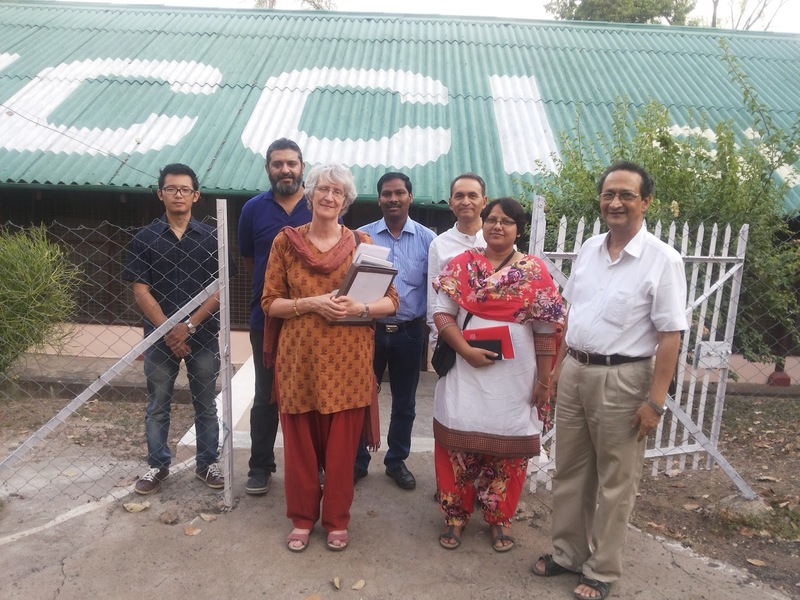 Mr. Davidson Solanki, International Programmes Manager, Us visited the NCCI Secretariat on 30 May 2015 along with Ms. Anne Bonger, Programme Coordinator of Us. Rev. Samuel Mall and Rev. Meena Bhati, Programme Coordinators of CNI Programme Office, accompanied the visitors. Mr. Kasta Dip, Director of India Peace Centre. Mr. Jianthaolung Gonmei, NCCI Youth Commission Intern and Rev. Dr. Roger Gaikwad, General Secretary of NCCI had a time of sharing with them. National Council of Churches in India. Powered by Blogger.